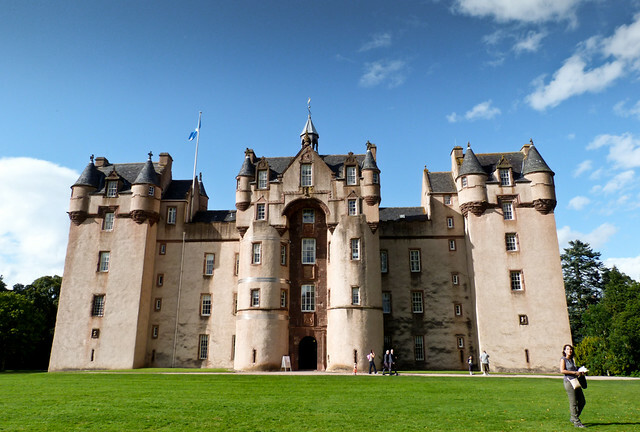 Cursed by the eccentric laird Thomas the Rhymer, Fyvie Castle is home to a few spectres, including the “Green Lady” Lilias Drummond, the spurned wife of a nobleman. There are said to be three “weeping stones” that leak water in the castle, although only one has ever been found. Former landlord John Walker is said to haunt the Cocket Hat pub, where he is seen in the lounge and occasionally moves glasses of whisky across the table. Barmaid Agnes McInnes was the first to see him in 1973. 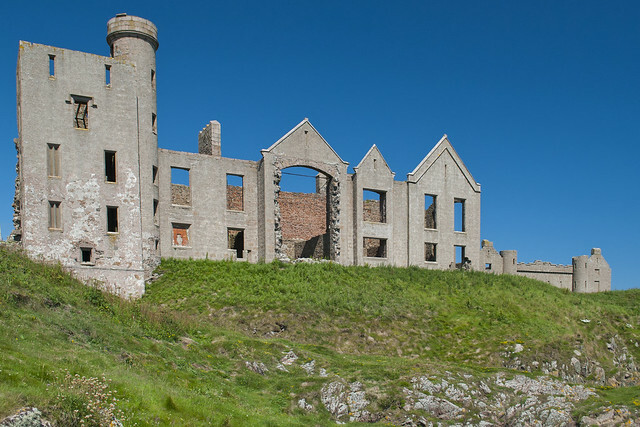 A pleasant fishing village on the Aberdeenshire coast (and favourite holiday destination of Bram Stoker), Cruden Bay is also home to the abandoned and decaying Slains Castle. Visitors to the site have reported seeing ghostly soldiers from WWII and spectral horsemen. The century-old His Majesty’s Theatre in Aberdeen is supposedly haunted by an old stagehand named Jake. Ever since Jake was killed by a stage hoist in 1942, staff have reported that objects move by themselves and his apparition occasionally manifests. Ardoe House Hotel is said to be haunted by a lady in white, who was one half of a courting couple whose families were locked in a feud. According to the legend, the lovers ended their lives in a secret underground passage when the girl became pregnant. Not a ghost, but the body of a cryptid known as an “earth hound” – rat-like creatures said to inhabit graveyards where they devour freshly-buried corpses – was dug up in Mastrick Churchyard around 1915. Ghostly whispers, disembodied footsteps and the clanging of a bell have all disturbed the peace and quiet of Aberdeen’s main library, according to rumours. The ghost of a former librarian has also been seen roaming the shelves. Although it’s now been demolished, the story of the White Dove Hotel and its haunting was one of Aberdeen’s most famous. An actress staying at the hotel became ill, and the nurse attending to her overnight saw a young girl appear and then disappear by her bed. 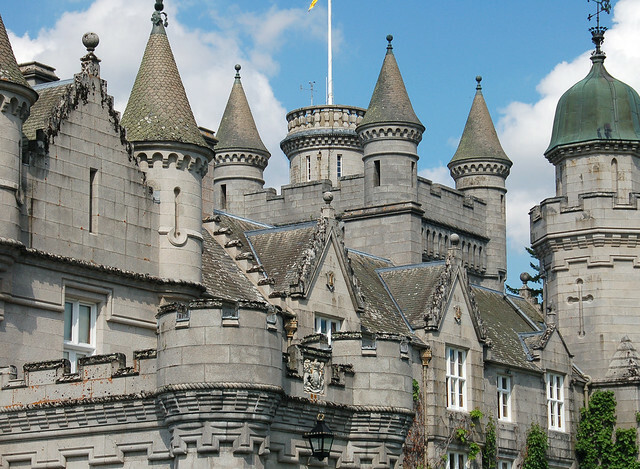 One of the grandest and best-preserved castles in the UK, Balmoral Castle also has a few ghosts wandering its walls. The current Queen Elizabeth II is said to have seen the ghost of John Brown, a friend of Queen Victoria, walking around the castle at night. Not content with being one of Scotland’s most haunted cities, Aberdeen is also a hotspot for extraterrestrial activity. There have been more than a few sightings of flashing lights moving over the city’s rooftops in the last few years, and recent MoD reports have revealed several more – the truth is out there! This article is brought to you by HRS hotels, one of the leading hotel chains in Europe. Photo credits: click on the image to find the source on Flickr. All images were under Creative Commons license at the time this post was published. Good sight but the Dove Hotel in Aberdeen never existed. It’s one of these tales that is taken as true but due to investigations by local author Graham Milne, this hotel was never demolished because it was never built. While I can’t validate if this is true or false, I do love a good mystery… and what better backdrop for a mystery than a spooky hotel?